From the New York Times bestselling author of From a Drood to a Kill comes the next Secret Histories adventure, now in paperback! Speaking of predatory night terrors, there is a man who gets away with murder. A man who specializes in removing the problems from other people’s lives by killing the people who cause those problems. He operates from the darkest shadows of the hidden world, coming and going unseen. 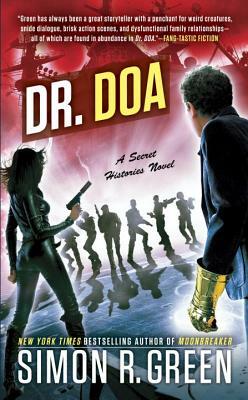 No one knows who he is, just his nom de mort: Dr. DOA. Simon R. Green is the New York Times bestselling author of the Secret Histories Novels, the Novels of the Nightside, the Ghost Finders Novels, and the Deathstalker series. He lives in England.